Skillman Obituaries - Skillman Family Association Inc.
For many, the Obituary holds a place equal to that of the headstone, official documents and other historical artifacts revered within the practices of genealogy and remembrance. 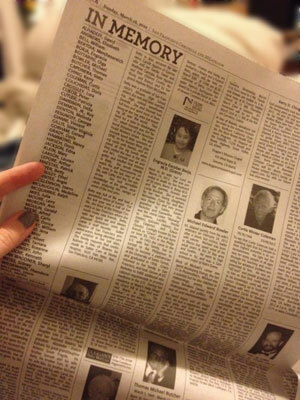 Here you will find an assortment of obituaries — both past and recent. Skillman Family Association Members may submit obituaries for inclusion in this section of the website.